Background: Pact is the lead implementer on USAID Kizazi Kipya, a five-year project (July 2016 to June 2021) funded by the President's Emergency Plan for AIDS Relief (PEPFAR) through the United States Agency for International Development (USAID). The project is implemented by Pact in partnership with Aga Khan Foundation (AKF), Elizabeth Glaser Pediatric AIDS Foundation (EGPAF), Ifakara Health Institute (HI), Railway Children of Africa (RCA) and Restless Development. To achieve its goal, the project is collaborating with civil society organizations (CS0s), the Government of Tanzania (GoT) at the national regional and district levels, the communities and other stakeholders. The USAID Kizazi Kipya program aims to enable one million Tanzanian orphans and vulnerable children (OVC) and young people affected by HIV/AIDS utilizing age impropriate HIV/AIDS-related and other services for improved care, health, nutrition, education, protection, livelihoods, and psycho-social well-being. The objective of this consultancy is to support the leadership of Pact Tanzania, and the USAID Kipya project in particular. to identify private sector linkages to the project and the organization as a whole which can result in tangible benefits for USAID Kizazi Kipya beneficiaries, namely orphans and vulnerable children, youth, and their caregivers, to complement the inputs from the USAID-funded project and to supplement the services provided by the government of Tanzania and Civil Society Organizations. The consultant will identify relevant private sector companies and foundations based on identified areas of interest by Pact Tanzania, compile information on their corporate social responsibility community services, and other interests aligning with Pact beneficiary needs, facilitate linkages to these companies/organizations, and proactively follow up with the private sector on identified actions and synergies. 1 Meet regularly with Pact Tanzania leadership, either in person Of remotely, to review and brainstorm Pact private sector priorities, status of existing linkages, and emerging needs and opportunities. 2 Compile and maintain database of key private sector organizations who have the potential to complement Pact programming, including contacts, websites, CSR interests, other development or investment interests, history of contacts between Pact with the organization, partnership success factors, and outcomes. 5 Proactively follow up private sector contacts on behalf of Pact to set up meetings, follow up potential leads, solidify opportunities, finalize contracts. etc. 6 W. with both parties to dearly identify Pact and private sector roles and responsibilities in partnerships and ensure that these are captured in writing to support finalization and agreement by both parties. 7 Work with Pact Tanzania leadership in developing a value proposition for identified private sector companies. 8 Facilitate agreements between Pact /partners on key topics, and assist Pact in reviewing and executing key contracts with partner organizations. 9 For successful private partnerships, support Pact, Monitoring and Evaluation Team to identify and document Key Performance Indicators and methods for program monitoring and evaluation, including beneficiary feedback loops for adaptability and learning. 10 Develop Pact Tanzania Corporate engagement strategy. Minutes of all contacts (formal and informal) with specific private sector organizations on behalf of Pact. Pact Tanzania Corporate Engagement strategy. Pact Tanzania value proposition addressing community's issues while providing business opportunity to the companies. 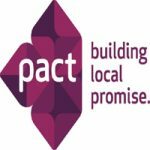 Pact desires a consultant who can support the organization on a retainer basis over an 11-month period. Actual hours worked per month will vary based on the volume of private sector interest in the project. The consultant must be flexible to attend meetings as they arise in Tanzania, and must be able to follow up remotely with key private sector contacts on a regular basis. Qualifications, Experience, & Skills: Master or Bachelor’s Degree in field relevant to fulfillment of the duties and responsibilities as described above (e.g. MBA, Law, etc.). Strong understanding of intersection between private sector interests and non-profit needs and how to bridge the two. Experience with facilitation of successful private sector and non-profit linkages, preferably in Tanzania. Experience with review and execution of contracts between partner organizations. Extensive awareness of numerous relevant private sector companies in Tanzania, preferably with existing contact. Knowledge of the renewable energy sector in Tanzania strongly preferred. Strong negotiation skills; ability to sell new ideas. Team player, self-starter & enthusiastic. Excellent English written communication skills, and excellent oral communication skills in English and Kiswahili. Quick thinker; ability to creatively 'think outside the box" and identify new opportunities. Tanzanian citizens and expats familiar with East Africa are invited to apply for this consultancy. The applicant must either reside in Tanzania for the majority of the assignment, or must be willing to travel to Tanzania frequently on short notice. The consultancy is expected to run from approximately October 2017 — September 2018. A schedule of key activities and deliverables will be updated each month the consultant. Daily work hours are flexible and can be negotiated between Pact and successful applicants. Pact will provide a work space, internet and related office facilities in the Dar es Salaam office if needed for the consultant. When the consultant travels within Tanzania (outside Dar es Salaam) for consultancy-related activities, Pact will provide transport and per diem according to the organization, internal policies. Please submit the following by email. Contacts or three past professional references related to similar job assignments. Email the application to nelias@pactworld.org by Tuesday October 17, 2017; include "Private sector liaison application" in the email subject line.